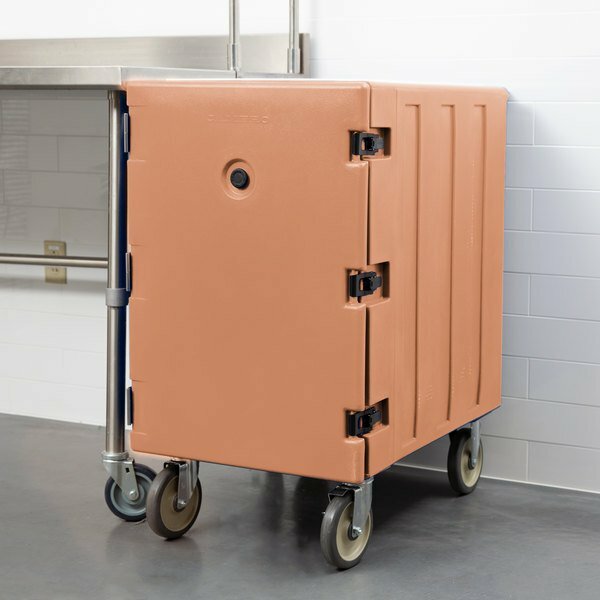 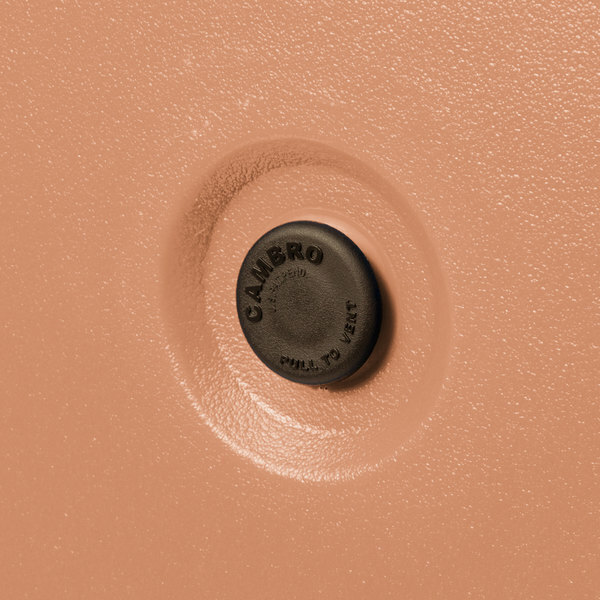 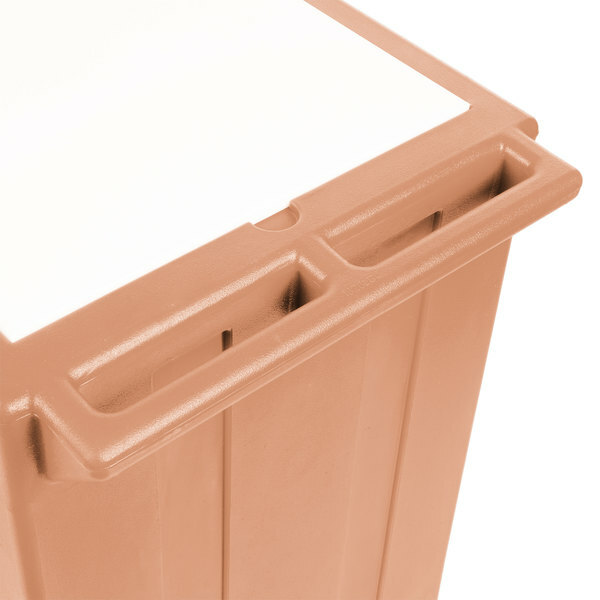 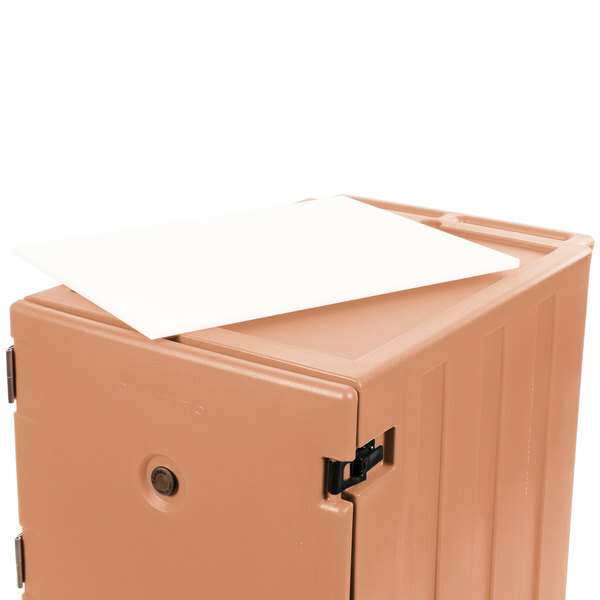 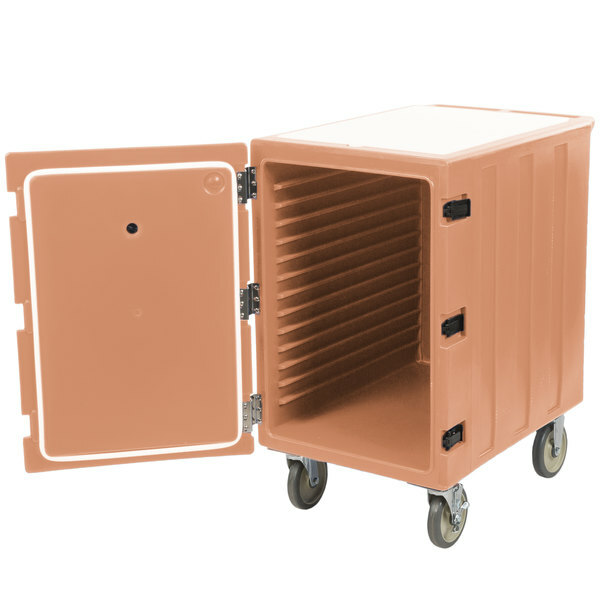 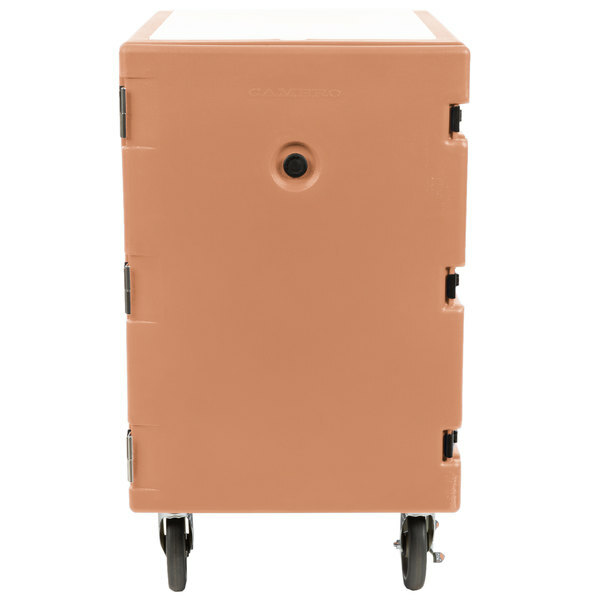 The Cambro 1826LBC157 coffee beige single compartment Camcart is a convenient, versatile storage and transport solution for any catering and food delivery need! 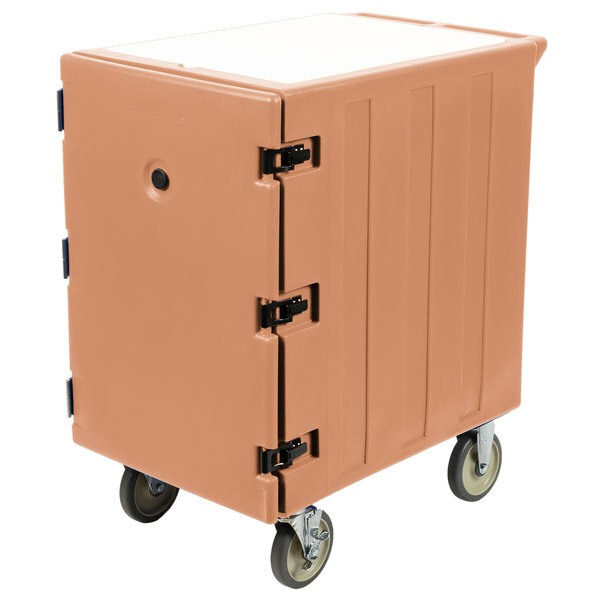 This rugged transport cart has room for up to five 3 1/2" deep 18" x 26" food storage boxes, with a handy, removable cutting board top for last-minute prep work. 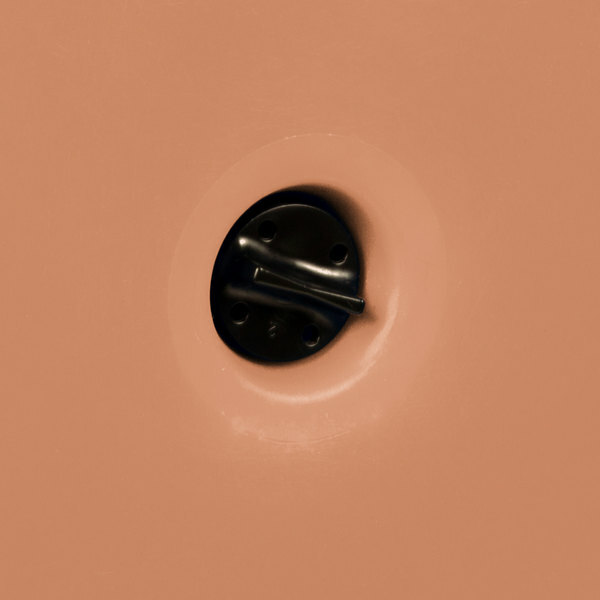 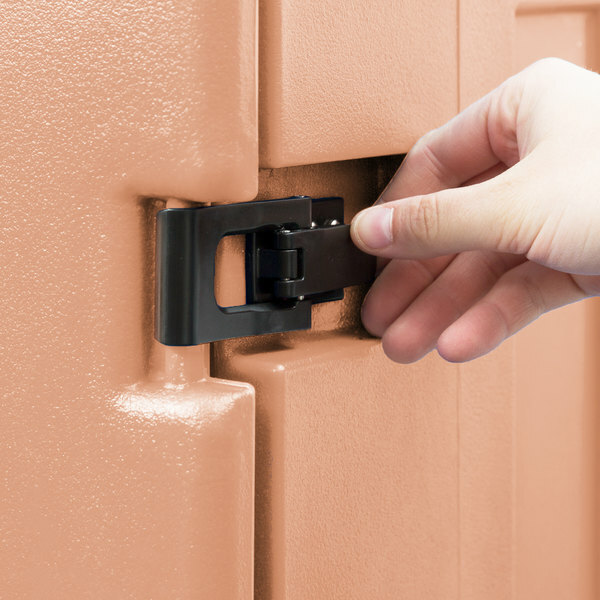 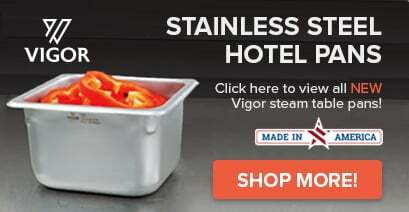 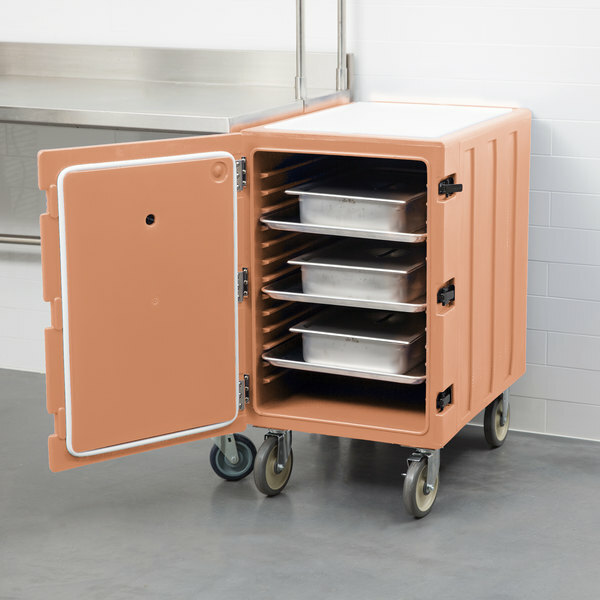 Thick polyurethane foam insulation and airtight door gaskets combine to keep your hot food hot or cold food cold, while a recessed pop-up vent releases steam and prevents soggy food. 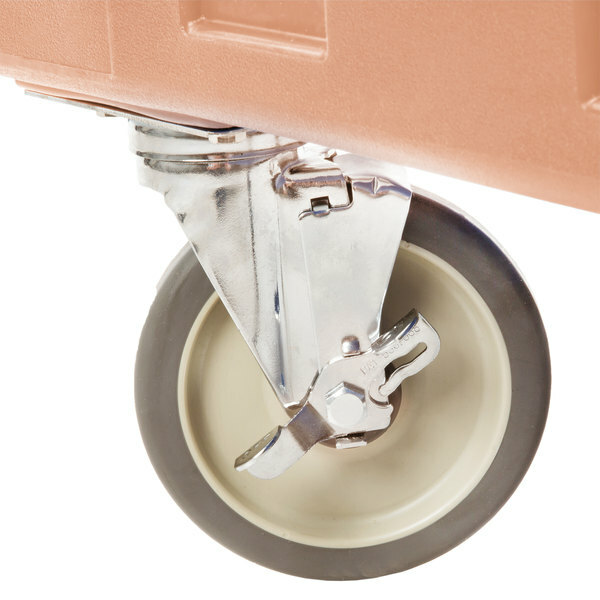 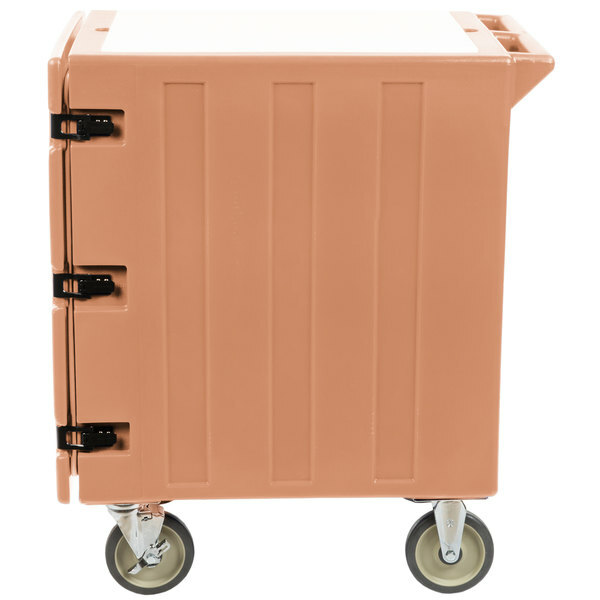 A molded-in horizontal handle and four 6" casters (2 fixed, 2 swivel, 1 with brake) make maneuvering the Cambro 1826LBC157 food storage box cart a breeze. 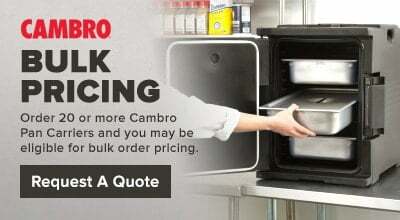 Overall dimensions are 21 7/16"W x 32"D x 37 1/2"H.
Rubbermaid FG9F1400CGRAY ProServe Insulated Food Pan Carrier End Load Full Size Gray Nylon 27" x 21 1/2" x 29"